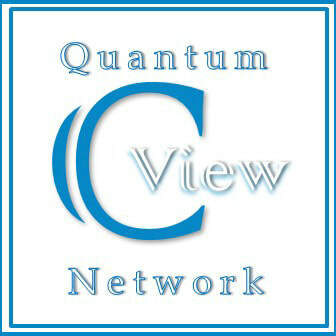 ​C View is the first Quantum Network of its kind in the Carolinas. Our network of shows are hosted by Blog Talk Radio, with over 100,000 all Time Listeners. We specialize in producing interviews and shows for Spiritual "First Responders" who love the idea to reach a global audience but do not want to deal with all the production involved. We host about 8-12 monthly shows and many seasonal shows for clients across the nation and international (Mexico, Spain, UK, Canada, Germany, Australia, Netherlands and South Africa). ​Host a Show and get your name in the game referred as "Podcasting". Lead with C View on a new media content revolution that is empowering individuals, like you, with the ability to globally distribute their ideas and create a following of like minded fans. C View makes podcasting simple and available to all kinds of aspiring broadcasters. We keep getting requests from people who want to come back to C View, Why? It is fun and rewarding. Podcasting with C View is an amazing channel to reach your audiences. It builds loyalty and positive sentiment towards your brand. Unlike other forms of media, listeners tend to give our shows exclusive attention and time. Listeners tune in during workouts, commutes, and other slices of free time. Create a quality podcast and you’ll build a loyal base of listeners that will keep coming back for more. what countries listen to you? What gender are your listeners? What Language are your shows? How large is your listeners base? As mentioned before, we are not your typical radio station and numbers mean little to us. We believe in the quantum power of things and the value of ONE. Our numbers are difficult to tract as besides 100,000 listeners (Blogtalkradio) we have a base of 10,000 followers on Facebook and more than 14,000 tweets that reach out to the world. 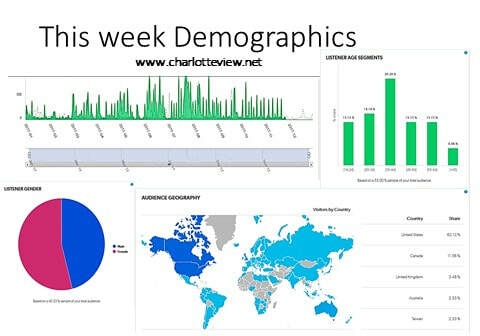 Most shows that are listened live grow exponentially with time, the more we all share them, the faster they grow.